viaLibri ~ A CONSPIRACY OF THE SPANIARDS AGAINST THE STATE OF VENICE. A CONSPIRACY OF THE SPANIARDS AGAINST THE STATE OF VENICE. London, printed by J. D. to be sold by John Allen, at the White Horse in Wentworth Street, 1675.. FIRST EDITION, FIRST ISSUE 1675. 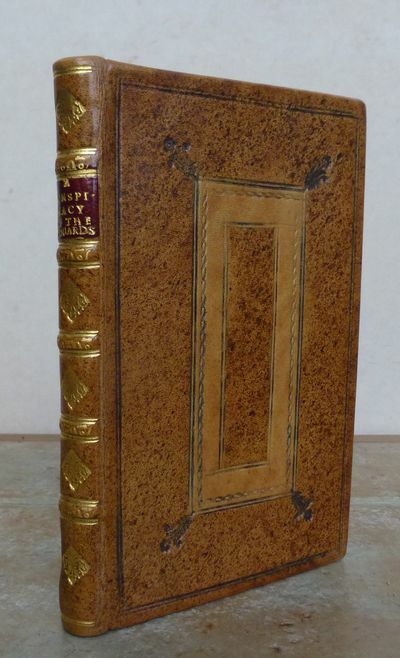 Translated from the French by an unknown hand, small 8vo, 111 pages, last page blank, rebound in modern full panelled calf, maroon gilt lettered label to spine, gilt decoration to spine. Slight age-browning to endpaper and title page, otherwise a very good clean copy. ESTC R220611. A second issue was issued the same year with a different imprint: printed by J.D. for Richard Chiswel, at the Rose and Crown in St. Pauls Church-yard. MORE IMAGES ATTACHED TO THIS LISTING, ALL ZOOMABLE. POSTAGE AT COST.